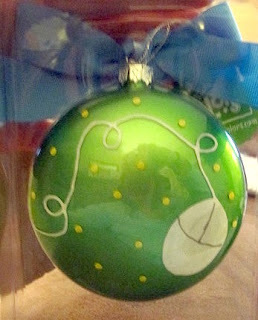 It's so cute I wish I had my tree up right now so I could hang it! 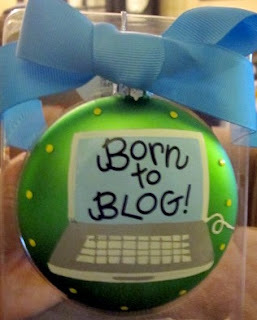 Although let's be honest, the ornament should really say "Born to blog (sporadically)," as I have not been super consistent with my blogging lately. After Thanksgiving, I will have tons more to blog about and I hope to have my Low Country Bash pictures up before Turkey Day - so check back this week! that is cute! do you know where she got them? super cute! and we'll forgive ya... we still luv ya anyway! What a cute ornament and what a thoughtful MIL. Did she have it made for you I wonder? Love it. Awww...Mom. She's a cute one.